Passed away Monday, April 1, 2019. Loving father of Devin (Jaime Firkus) Ott. Proud grandfather of Cody, Carter, and Gavin. Devoted son of the late Robert and the late Genevieve Ott. 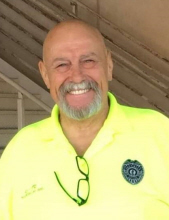 Family and friends will gather at Sax-Tiedemann Funeral Home 9568 Belmlont Ave., Franklin Park on Saturday, April 6, 2019 from 9:00 am until time of service 10:00 am. "Email Address" would like to share the life celebration of William R. Ott 'Otto'. Click on the "link" to go to share a favorite memory or leave a condolence message for the family.